On a soggy October night, twenty one schools descended on the trails of Belmont for the 34th Jeri Blair Belmont Invitational. Known for being one of the toughest courses in the state, with some steep, single track hills and an additional 142 meters of running, the difficulty was enhanced by the afternoon showers leaving puddles and mud throughout the course. And while cool and damp, the competitors were fired up and the action was hot. Kristie Schoffield of Merrimack Valley got the day rolling at the gun, hopping out to an early lead right from the get-go. She was followed closely out the gate by Amber Riley of Belmont with a gap back to Sarah Nadeau of Hopkinton, Samantha Bilodeau and Madi Labrie of Mascenic, Emily McKuster and Peyton Giles of White Mountains, Isabella Mormando of Coanant, and Madeline Ishak of John Stark. Less than 800 meters in, Schoffield was alone while the chase pack had swallowed up Riley and was rolling. The two loop course comes back through the start/finish area at the halfway and by then Schoffield was well out in front while Nadeau had made a strong move into second. Moving up through the pack was Jillian Couto of Sanborn followed by Riley, Bilodeau, Labrie and Mormando. Little would change as the group made their way back to the finish on the track, with Schoffield winning in 20 minutes, 7 seconds. The rest of the group would finish as listed, with McKuster, Molly Schilling of Newfound and Delia Cormier of Laconia rounding out the top ten. 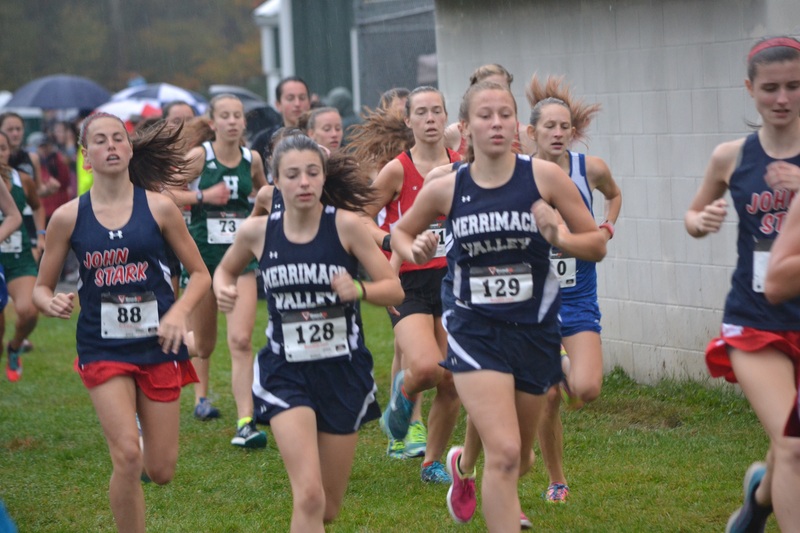 In an upset victory, Merrimack Valley won the girls race, ruining John Stark’s chances to repeat, 73 to 76. 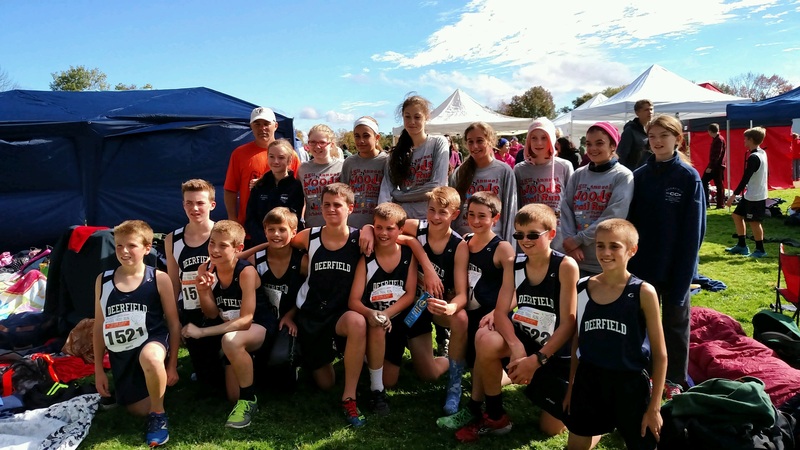 Moultonborough was a distant third with 120, but first of the Division 3 schools to finish. Kearsarge and Hopkinton rounded out the top five. The boys race looked to be a shootout with the top 3 returning boys from the Division 3 championship mixing it up for the first time this season. Cam Daly of InterLakes would seem to have the upper hand, after finishing second overall at the Thetford Trail run last week. However, Dom Repucci of Hopkinton always makes it hard and Avery Traffie of Mascenic seems to thrive on the difficult courses. The boys race got off to a quick start, but not because these three were looking to mix it up from the gun. Canes Monta of Hillsboro-Deering decided to head out at a suicide pace, leading off the track and into the woods some 500 meters into the race. That wouldn’t last long as Daly and Repucci moved to the front, followed by Ryan LaFrance of Gilford back to a chase pack of about ten or so. By the time the leaders came back around, Repucci and Daly were out in front, with Traffie and his teammate Jake Movsessian of Mascenic, and LaFrance chasing. Dane Seppala of Conant was hanging on for the ride while the rest of the pack was just trying to hang on. Daly and Repucci would battle all the way to the track before Daly turned on the jets that made him the D3 1600 meter champ to win in 16 minutes, 51 seconds. 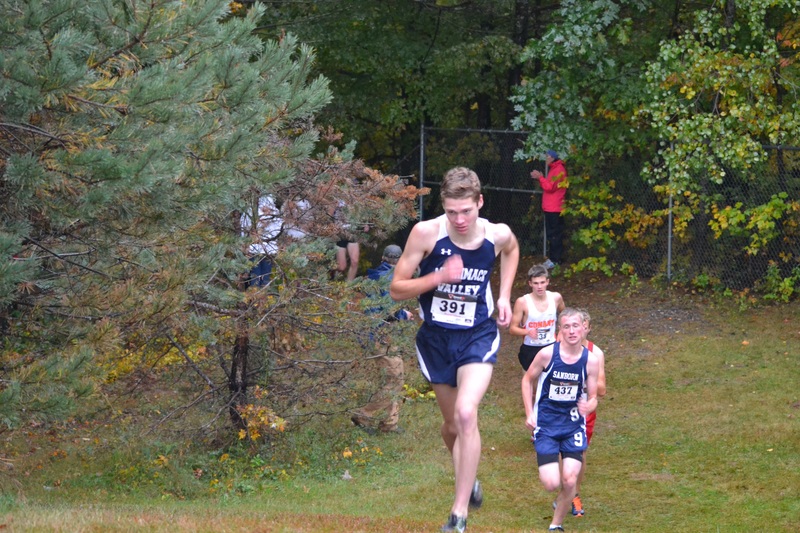 The rest of the field would finish that way, with Walker John of Merrimack Valley, Ian Daly of Inter-Lakes, Tim Cunningham of Kearsarge, and Ben Garfield of Derryfield rounding out the top ten. Last year’s champions, Mascenic, were able to overcome the temporary loss of their fifth man by putting three in the top 12 to win this one, 85 to 104 over a very much improved Kearsarge. Look for Kearsarge to make some noise come October 31st. Inter-Lakes is putting it all together as they head into the end of the season, finishing in third, with a short handed Hopkinton and Derryfield rounding out the top five. Dual Meet Tuesday (DMT)!!! + Wednesday Results! Watch out. Division 3 will be bringing it. Cam Daly and Dom Repucci going hammer and tong… should be a lot of fun.